Aside from the cool breeze of Tagaytay and the beaches in batangas, many of us look come home to the art and laid-back vibe of Antipolo when we need a quick break from the fast-paced city life. These destinations are only hours away (on a good day) and can let you feel like you’re in a whole new world altogether. Antipolo is known for its food, art, lush scenery, and mini pockets of peace found all over the city. 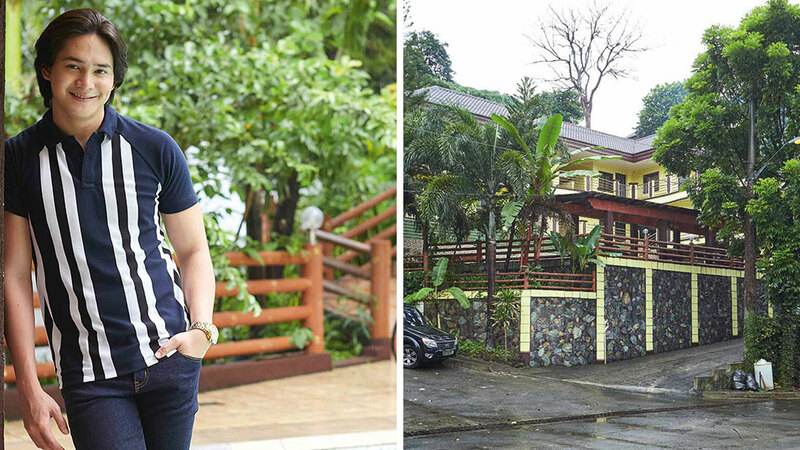 Perhaps this is one of the reasons why actor Ruru Madrid’s family chose to build a vacation home in a village on Cogeo Avenue. Before the construction of the home, the family used to look for other venues for their big reunions. “’Yong basta may pool, ‘tapos merong room, do’n kami. Halimbawa, once a month,” says Daddy Bong, Ruru’s father. The Madrid clan is quite a big brood as Ruru’s father has 10 other siblings. To accommodate everyone during get-togethers, the vacation home has 11 rooms—one for each family, a four-foot-deep pool, wide open spaces, and a homey ambiance like no other.